CHAPEL HILL, N.C. (AP) — Roy Williams suffered his worst home loss in 16 seasons with North Carolina as Louisville stunned the 12th-ranked Tar Heels 83-62 on Saturday. Louisville: The Pitt loss certainly was a low point considering the Panthers had lost 23 straight ACC regular-season games since February 2017 and 25 of 26 against league teams overall. The Cardinals didn't spend much time sulking, instead hitting their first seven shots with four 3-pointers in what turned into an unexpected rout and quite a win for first-year coach Chris Mack. UNC: It was hard to see this coming. 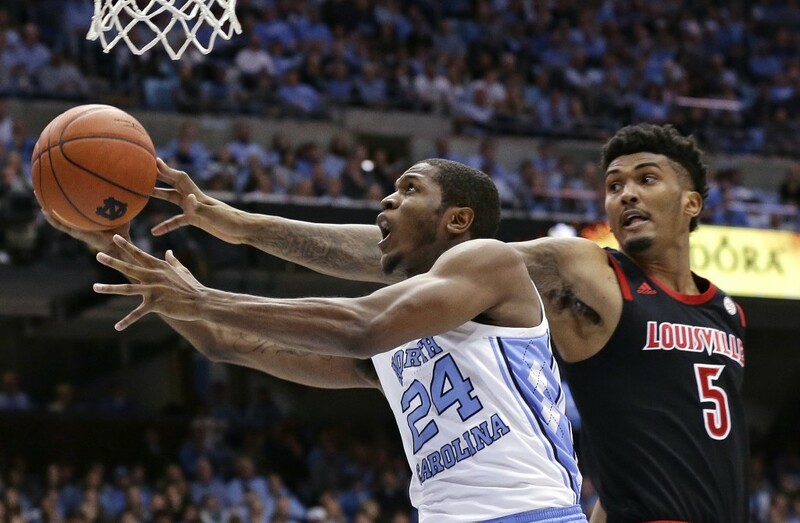 The Tar Heels had won four straight games, the first three by at least 20 points followed by a victory at 15th-ranked rival North Carolina State on Tuesday night. Yet all that momentum vanished in a woeful performance that included bad shooting, too many turnovers, a poor performance on the glass and defense that frequently failed to beat the Cardinals to a spot.